Red 12 oz ceramic mug with stainless steel base and comfort grip handle. 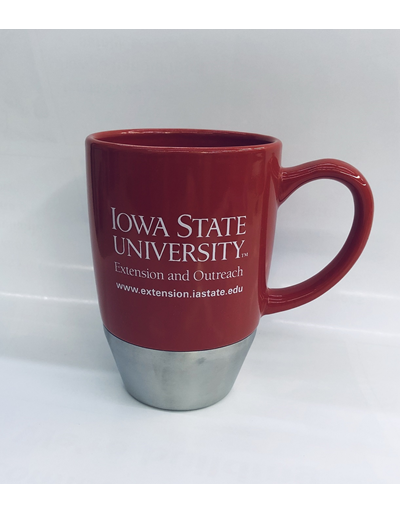 ISU Extension and Outreach word mark prominently displayed in white lettering across the mug. Red and Black polar sport cooler with white ISU Extension and Outreach screen-printed wordmark. A BPA free stainless steel travel mug features 16 oz. of space for all of your hot or cold beverages contained within the inner wall and a silicone band. 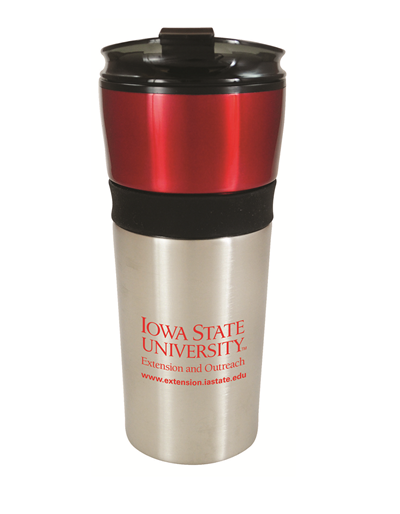 Iowa State University Extension and Outreach wordmark appears on bottom section of mug. 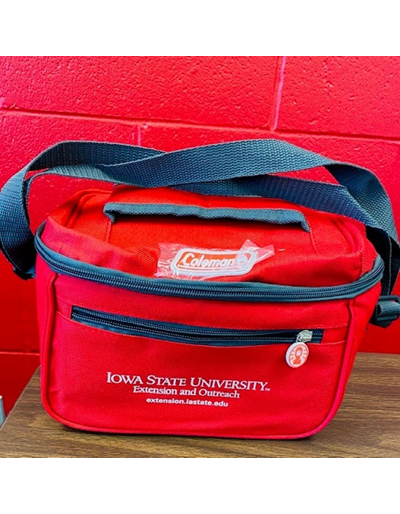 An ISU Extension and Outreach Water Bottle is great for your car or at work. Push Freezer stick into bottom of cap and twist to lock in place. 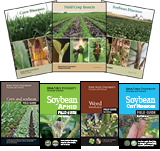 Also a fantastic gift idea! This red colored bag is made of eco-friendly 'green' material. Similar to other bags you would find in most shopping venues today. 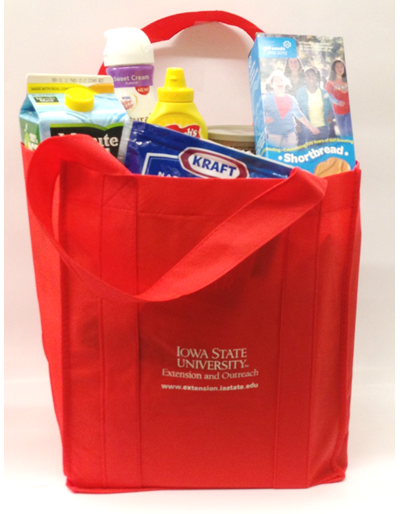 The bag features our ISU Extension and Outreach wordmark and URL on the front panel with a clear bottom insert.